Whether you’re listening to some tunes on the road or using a service like Google Play Music, your phone is always your remote control. While listening to music, wouldn’t it be wonderful to use swipe to change volume and skip songs on Android? 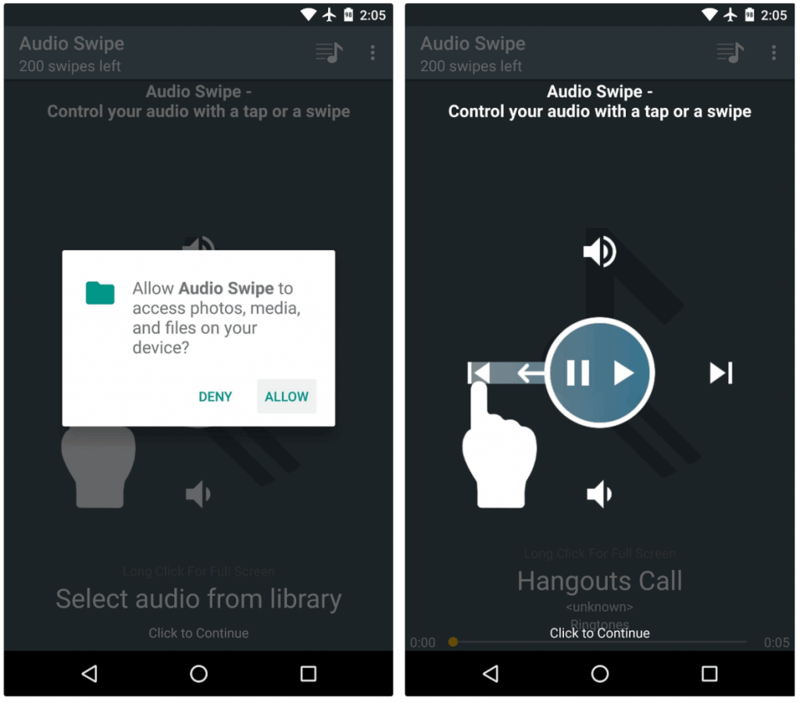 Thanks to an app called Audio Swipe, you can bring the power of gestures to music control on Android. By simply using swipe gestures to control music playback, your music experience on Android will never be the same. 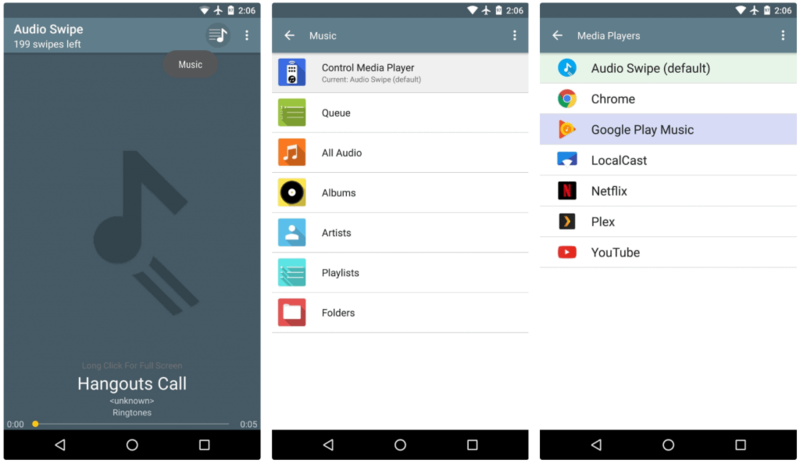 Developed by Hendriksen Software, Audio Swipe is the ultimate app to gain music playback with gestures on Android. The app is not only available on the Google Play Store for free, but does not require any special root access to work. The first time you launch the Audio Swipe app, you will be asked to grant the app additional permissions. Go ahead and tap on the “Allow” button on the pop-up window to grant the app additional permission and follow up to the next screen. You will now be able to see a tutorial screen in the form of an overlay, which shows you how the gestures work. You can swipe left and right to switch the music tracks, swipe up or down to increase and decrease the volume and play or pause the music track by simply tapping on the screen. Now that you have all the settings configured and know your way around the swipe actions, it’s time to get to work. You can use Audio Swipe itself as a standalone music player app or use just the swipe gestures of the app for other music services. You can use the “Music” button on the top-right corner of the screen and tap on “Control Media Player” to choose which music player the service can work with. Once you have selected the music player apps, go ahead and exit the Audio Swipe app and begin to use swipe to change volume and skip songs on Android.